Smooth Operator. 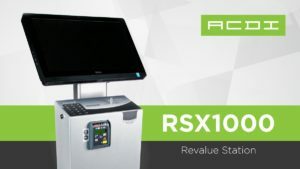 Streamline Money Management with the Most Sleek Coin-Op of the Season, the RSX1000 | Industry Analysts, Inc. Manufactured and designed in-house with technology that’s second to none, the popular EX2000 Series allows multiple price lines for fine-tuned pricing. Charge different rates for B/W, color copies, various paper sizes, simplex, duplex, and more. But it’s not just for copies, on select devices we can even charge for prints, scans, and faxes. This entry was posted in ACDI and tagged ACDI, Coin-Op, RSX1000 by IA Staff. Bookmark the permalink. ← Previous Previous post: Compass Sales Solutions Launches A Fully Redesigned Website!